Paranoid Android is arguably one of the most popular and widely used custom ROMs in the android community. One of the flamboyant feature that paranoid ROMs exhibit is its multitasking capability which competes with other popularly known ROMs. When we speak of paranoid android multitasking capability, then there are two main features that should be unveil which are the pie control and the halo feature. The pie replaces your android device on-screen navigation buttons with a customizable one. Thus its main function, is to give you the power of gestures navigation in whatever app you’re in, so you can simply swipe from the bottom or any side of the screen to reveal a beautiful customizable menu with your favorite actions included. 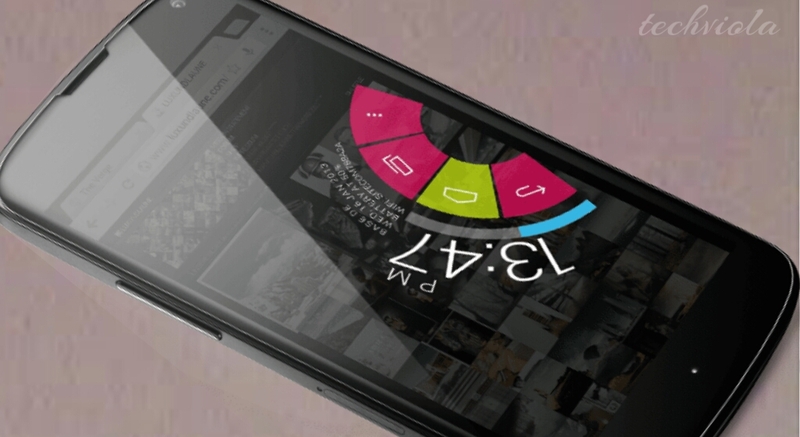 Whereas Halo is a floating icon that displays notifications from various apps installed on your phone. It features a little bubble which hovers over all your apps and gives you quick access to your notifications (Which is similar to facebook chat heads but this time, you get quick access to all your apps) by showing them in a beautiful and intuitive way, you can launch, dismiss and scroll through all of them. In as much as this features are widely known, they can only be found in most paranoid android ROMs. Also Read: How To Enable ListView Animation On Any Android Phone. However you can easily get this feature on your android phone if perhaps you don’t want to install any paranoid android ROM due to reasons best known to you. With the help of an Xposed module and the pie control app, then getting this features on your android device can almost be easy. The pie control app can be the most easiest way to get this feature running on your android device, as one of its main pros is that it supports android 2.2 and above. This has been made possible by an xda developer member EatHeat. The pie control app acts similarly to the official paranoid pie control and brings all the functions that it provides. The Xposed Module method can only work on any android device running on 4.4 and above, thus its not supported for gingerbread and jellybean android device. The biggest pros about the xposed method is that with one simple module, you can be able to get both the paranoid android pie control and halo features. However your android device needs to be rooted before you indulge into this procedure as most of the functions and features needs root access in other for them to work flawlessly. Get Paranoid android Pie Control On Android Jellybeans. Pie control offers many options that can be customized to your preference. But first of all grab and install the pie control application from here. Or rather get the updated version from the google playstore by clicking here. Now locate the app from your app drawer and launch it. From the app main screen, you will see varieties of options that can be customized to your preference. Now tick the “Enable Pie Control” box and all the options under settings will be unlocked. Easily swipe from any side of the screen and you will see it working. The gesture offers basic controls such as option, home, back and menu. Apart from that, it also offers additional control such as search, volume up, volume down etc. Pie control comes quiet in handy when your hardware button isn’t functioning perfectly. From the settings, you can tinker with any options to see what functions they hold. The edge preference allows you to show the trigger either from the left, right or both sides of the screen. You can also tinker with the height, thickness, position and color. The transparency option is quiet handy and looks professional. Thus once set to the minimum, you won’t be able to see the edges at the side of the screen. 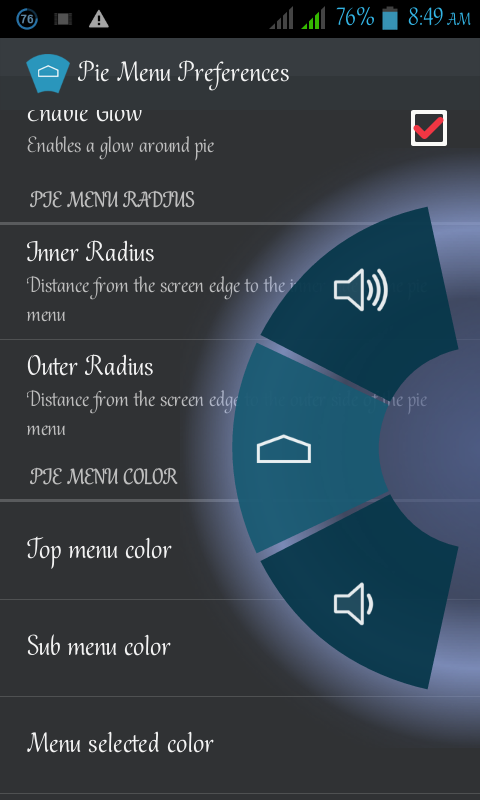 The pie menu preference also has its own function, once tapped on, you can choose to enable a glow around the pie which after ticked should look like the below screenshot. 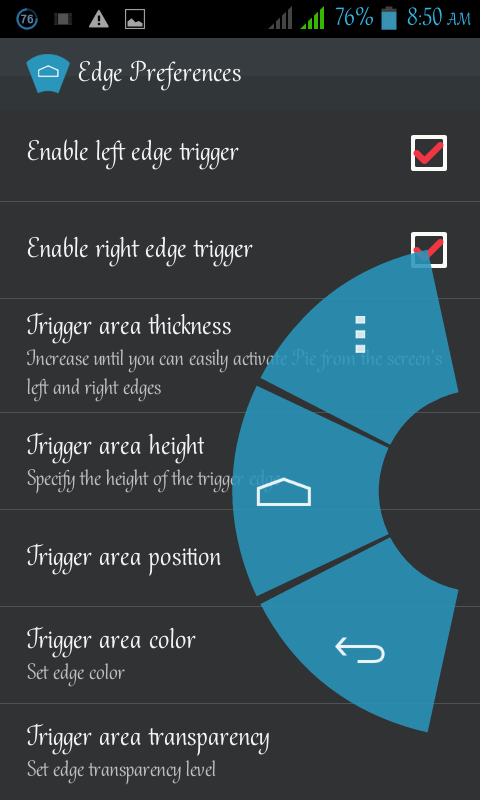 Also you can drag the inner radius and outer radius distance from the screen edge to your preference. However if you’ve set the transparency under the edge preference then certainly you won’t see this function in action. Under the pie menu color, you can can tinker with it to see there functions individually. You can also choose to show the pie control at your device notification panel if you desire. The vibrate on touch allows vibration once the pie gesture is called out. So you can choose either to enable it or to disable it. So this is the way to set the paranoid pie control feature on your android 4.2.2 jellybean device. The pie control app is quiet lightweight, so it works perfectly and smoothly. Get Paranoid android pie control and halo feature on android kitkat and above. This procedure can give you both the paranoid android pie control and halo feature, however your device needs to be running on android 4.4 and above in other to get this feature. We’re going to use an xposed module to achieve our aim here, so make sure your device is fully rooted before proceeding. Firstly you’ve to download the xposed installer app from the xposed repository website. Now install the app and from your app drawer, locate and tap on it to open. 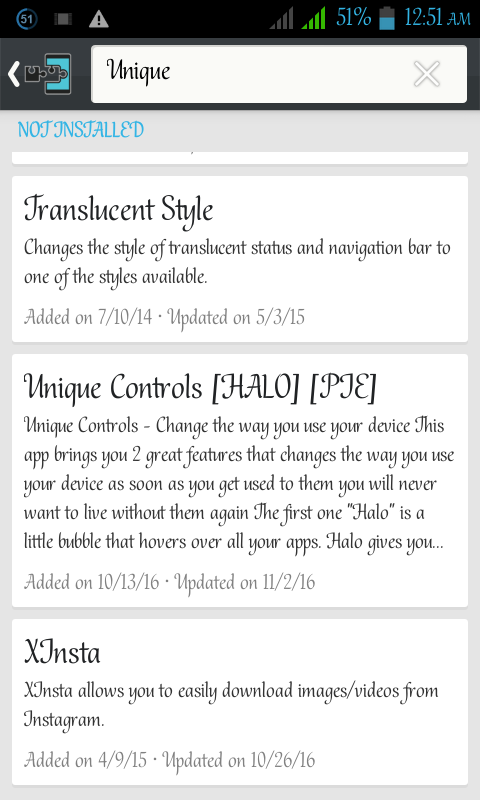 Go to the download section and from the search bar, type in “Unique Control (pie) (halo)” without quote. Now tap on the result, from the module description swipe to the left, then download and install the module. Now you need to activate the unique control module from the xposed installer application. To do this, locate the xposed app from your app drawer and tap on it to open. Now tap on the module section and tick the unique control box. 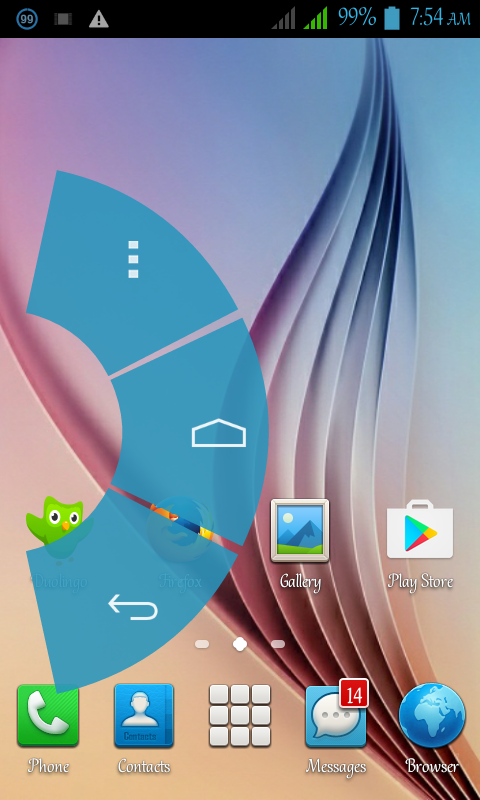 Use your device back button to navigate back to the xposed home screen. Now this time click on framework and perform a soft reboot to enable changes. We won’t explain much here, however we are going to give you a few tip on how to tinker with unique control. From your app drawer, locate the module and open it. Now from the Halo tab, toggle the main switch button and it will ask you to enable accessibilty service, tap OK and on the next page, tick the unique control box and use the back button to enter the module home screen. This time the toggle will be enabled. Now click on the pie tab and again tap main switch in order to toggle it. It will again ask you to enable accessibility service, click OK and on the next screen locate and tap on unique control then enable it. Again use the back button of your device to navigate to the module main screen. There are other options you can enable in this modules, so you have to explore and tinker with them. This feature is fully customizable and works smoothly. However after tinkering with this module, swipe up from the bottom of your android device screen and you should see the pie control and halo feature smiling at you. So this is the easiest method to get paranoid pie control and halo features on your android phone. If perhaps you have any queries related to this article, then you can easily drop your comments below. Also endeavor to share this post if it works for you.